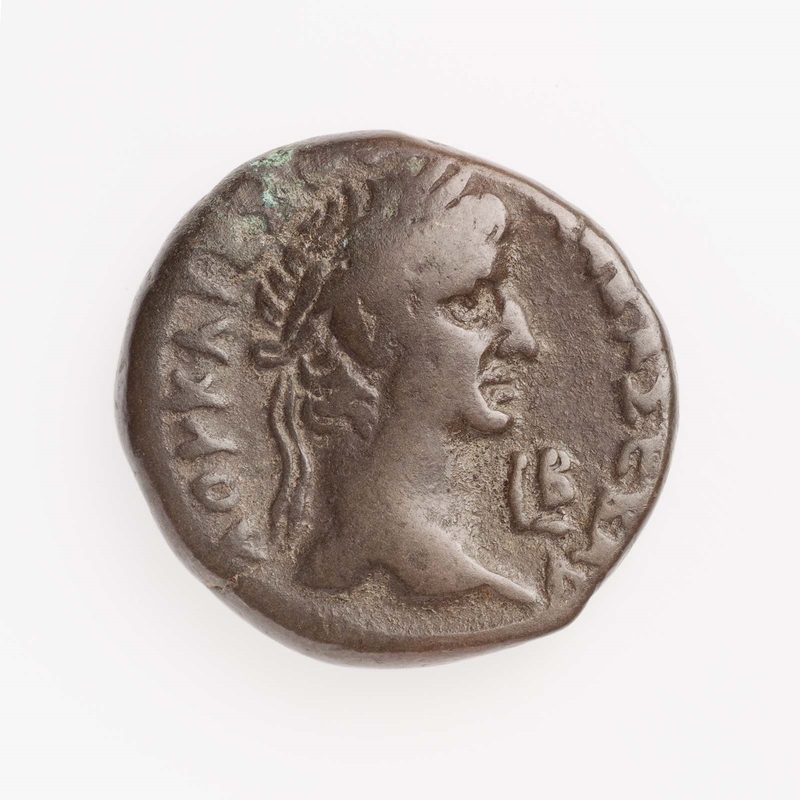 Obverse: Laureate bust of Galba to right. Year 2 = AD 68/69. 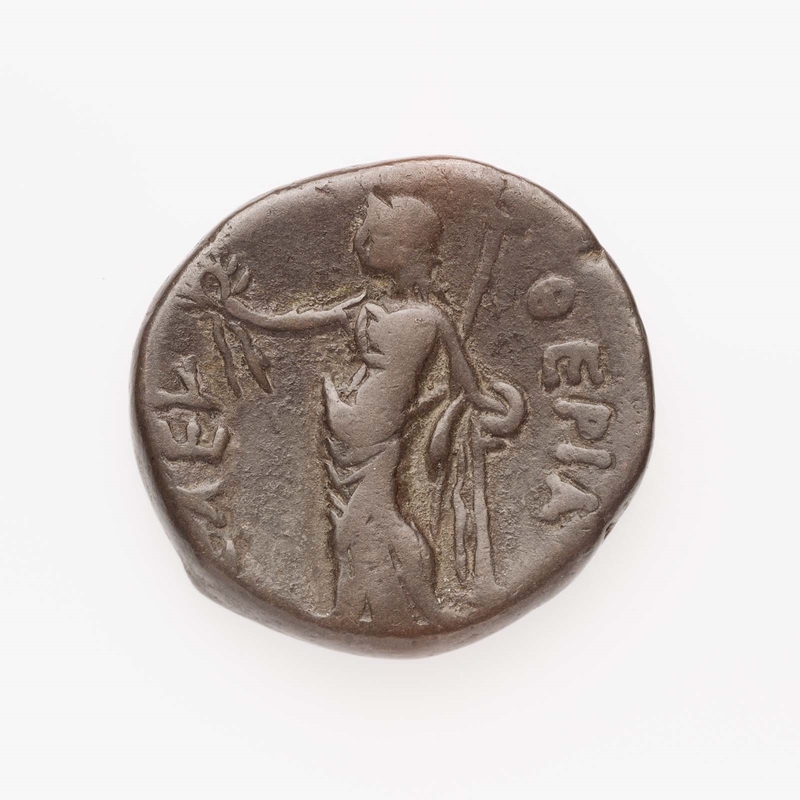 Reverse: Eleutheria standing left beside column, wreath in right hand, scepter in left.